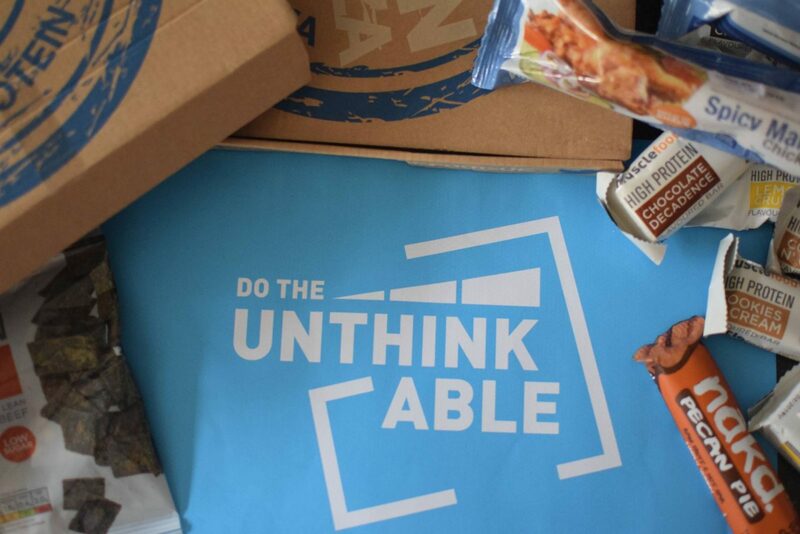 I was recently asked to try out a new food and fitness plan from Muscle Food called The Unthinkable. 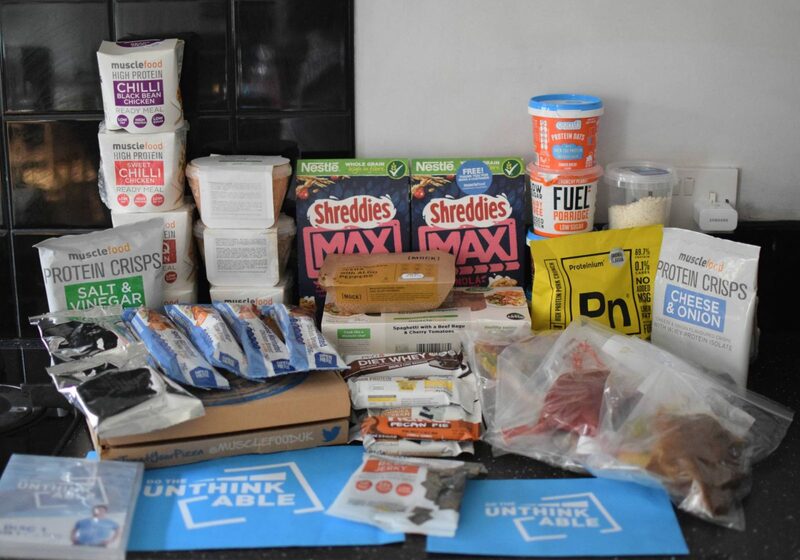 I was kindly sent 7 days worth of meals, snacks, a work out DVD, a ‘transform your body chart’ and a welcome letter from a Personal Trainer called Steve Ahern. 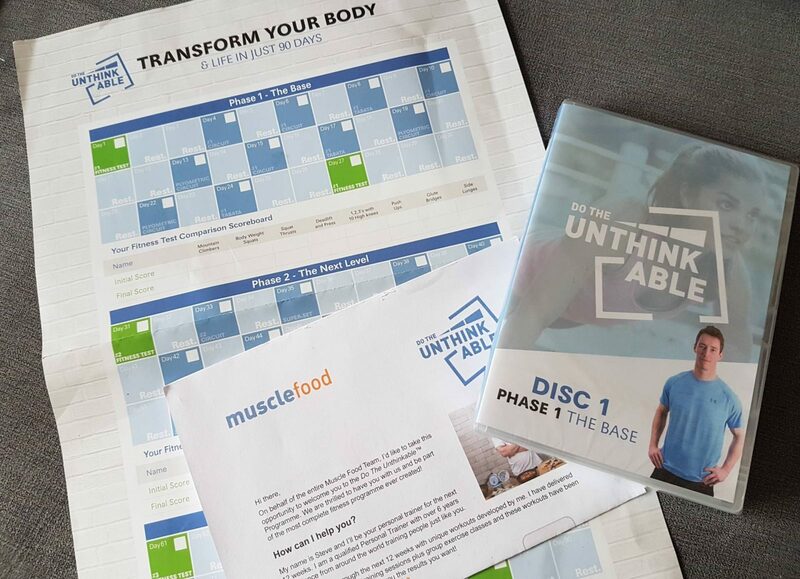 Ideally the plan is to be followed for 90 days to see a change or ‘transformation’ but I think my weeks trial gave me a good insight into how the plan would work over a longer period. When starting the plan you choose you goal – losing weight, toning, muscle development or to get ripped! You put in your gender, age, weight and height and then you can choose your own personalised meal plan. 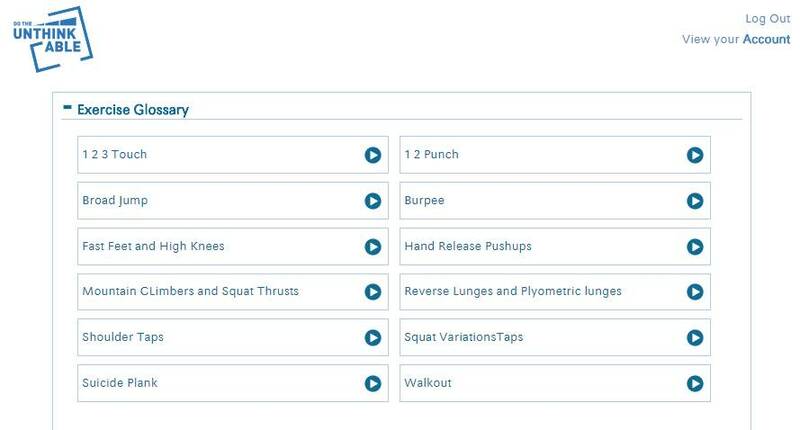 In addition to a full week’s worth of meals (breakfast, lunch, dinner and 3 high protein snacks each day) you also have access to an online personal trainer and online exercise glossary. 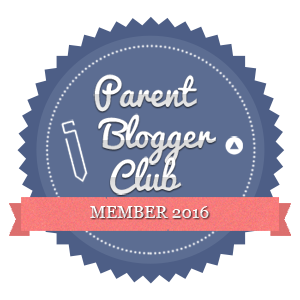 You’ll also receive handy emails from your online PT to remind you to log into your account and join in with questions and answers on Facebook. The food arrives neatly packed in cooling ice packs that keep the food fresh until you can put it in the fridge or freezer. The food was delicious and I loved almost everything. The portion sizes were healthy but not so small your still felt hungry. The food was also easy to prepare and I didn’t feel like I was being ‘good’. The breakfast options were mainly pots of porridge in a variety of different flavours. I loved how simple they were to make and perfect for taking to work for breakfast. I get up at 5.15am so throwing one in my bag to eat at work was very handy. Initially I wasn’t too sure about the Protein bars that were included in my package, but I was very pleasantly surprised. They were delicious and I felt like I was having a naughty treat. The double chocolate and cookies and cream flavours were my favourite. The lunches again were perfect for work. We have very limited cooking facilities so the rice pots were perfect. I particularly like the Satay chicken and rice pot and the BBQ chicken and rice pot. You just put them in the microwave for a few minutes and your lunch is ready. They tasted really fresh and had huge lumps of chicken in each one. 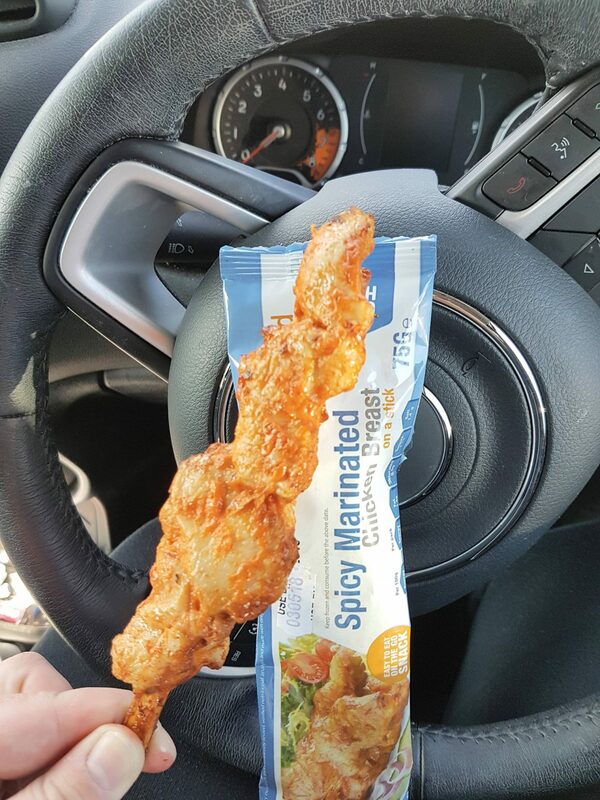 I was also a huge fan of the Ready To Eat Spicy Chicken On A Stick and Ready To Eat Chinese Chicken On A Stick snacks. The British Grass Fed Beef Jerky and High Protein Pork Scratchings were also a bit hit. Both tasted much naughtier than they were. The Chinese Chicken & Sweetcorn Soup really deserves a mention too. It was quite possibly my favourite thing from all the food provided. When I ate it at work, I lost count of the amount of colleagues who came over to ask what the lovely smell was. The evening meals we simple enough to make. 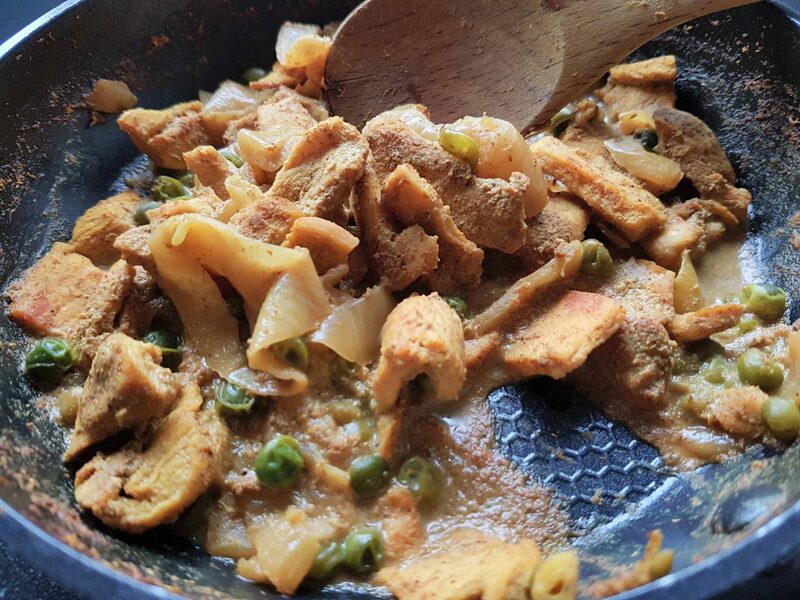 Once defrosted, you’re able to just throw most of them in the pan and cook through. The chinese chicken curry was one of my favourites. 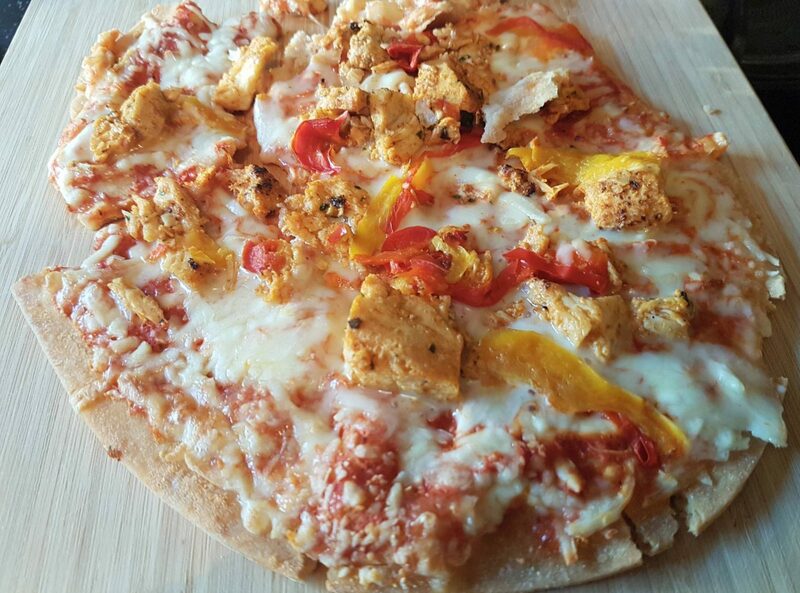 You can even have pizza! 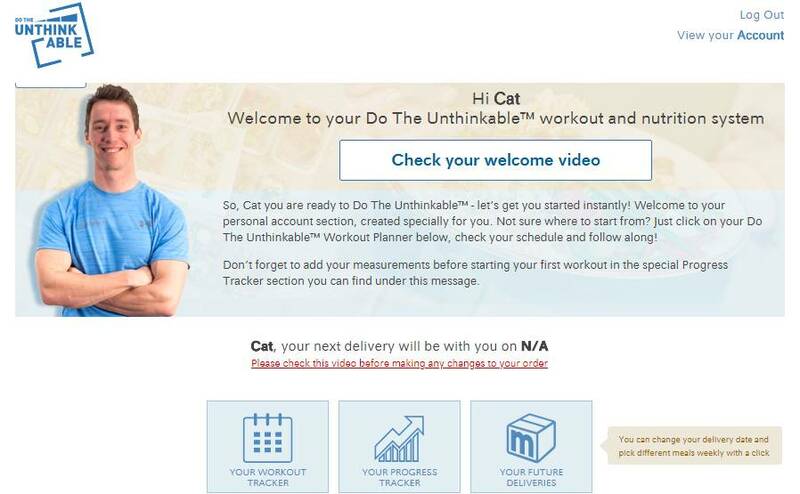 You start off by completing a fitness tests which if you’re like me, will quickly show you how unfit you are! The workouts are divided into 3 phases and include Circuit workouts, Plyometric circuits, Super-sets and Pyramid training. 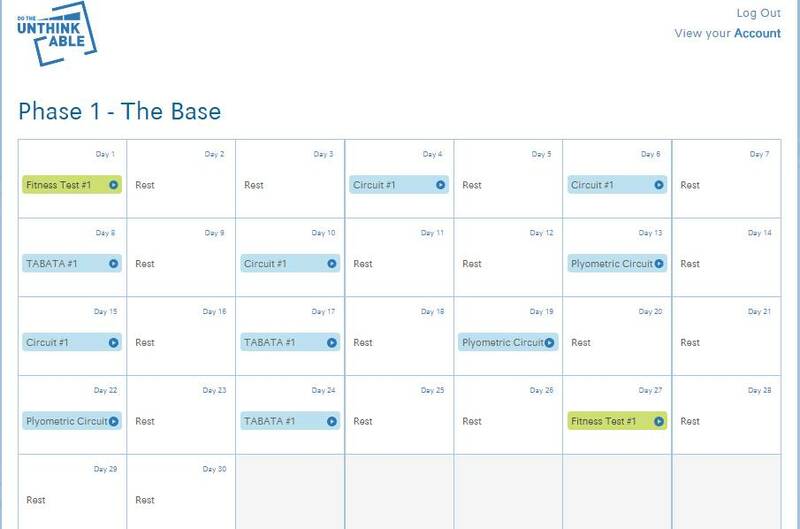 Your handy online work out calendar will show which days you need to complete the exercises and which days are your rest days. The exercises are easy enough to follow and aren’t too complicated. They can be done in your own home which gives you the chance to pause and take a breather if you need too without a group of people staring at you. 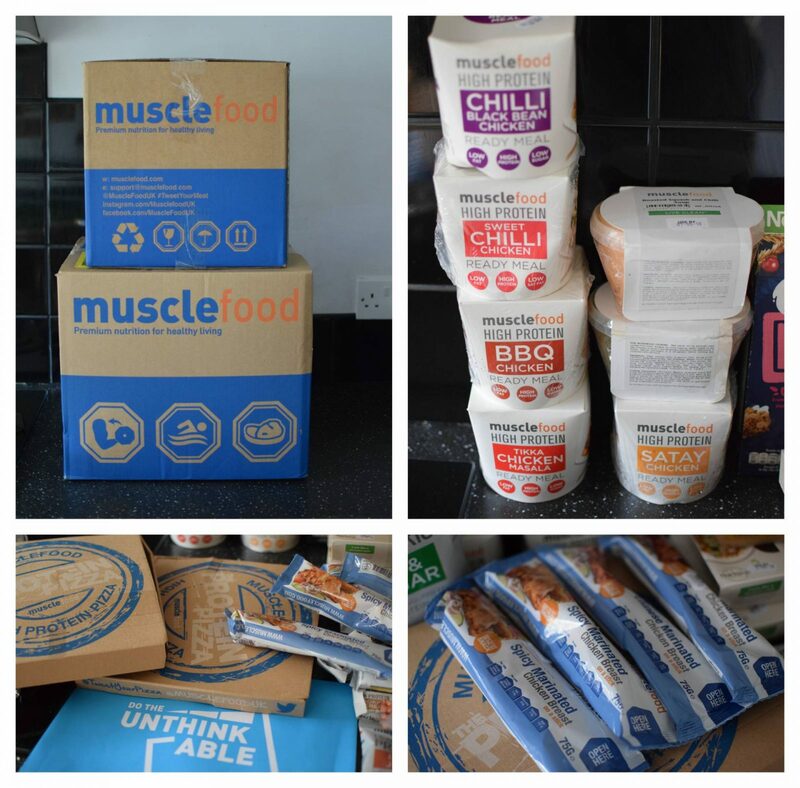 Overall I’m really impressed with Muscle Food’s Do the Unthinkable Plan and I think it’s ideal for busy people who don’t have the time energy to meal plan, prep and find time to go to the gym. The plan can be tailored to suit your own needs (5, 6 or 7 days) and you can choose food that you like so you only receive things that you like. You will need to access the cost to see if it suits you own budget but I think it’s quite good value, especially if you’re only buying food for one person. 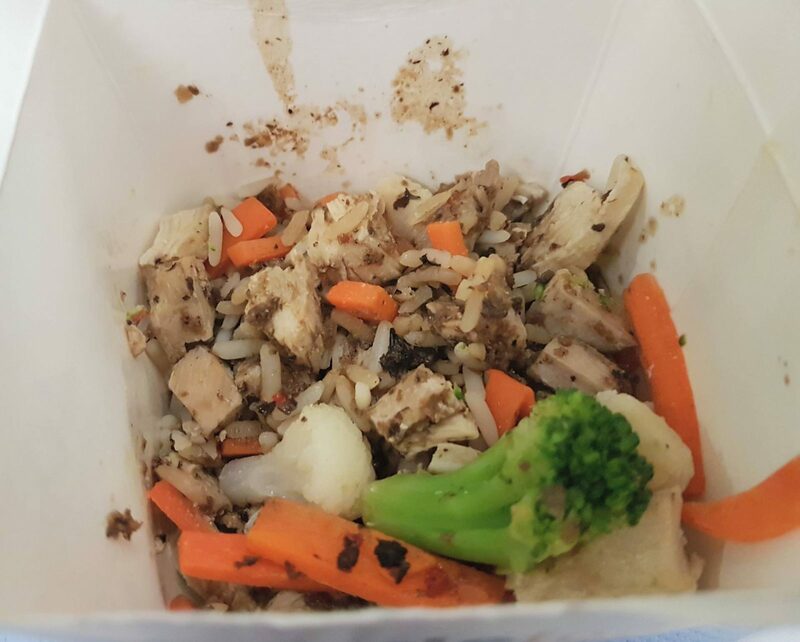 * I was given 7 days worth of food and access to the online fitness area in return for an honest review. 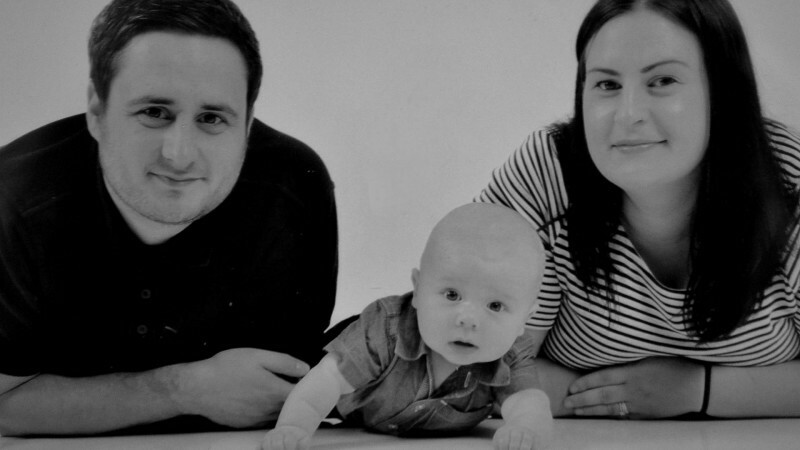 North East Family, Lifestyle, Travel and Home.